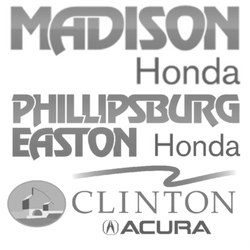 Here's just a few of our great dealers that utilize our auto solutions and reward technologies. Members of reward-based programs transact more providing our clients with the highest level of retention and profitability. Our programs perform and many of our clients have been with us for over 10 years and still expanding. Current Programs: Sales and Service Rewards, Used Vehicle Program, ToyotaCare Program, Custom Oil Change Program. Current Programs: Sales and Service Rewards, Custom Service Plan. Current Programs: Sales and Service Rewards, ToyotaCare, SubaruCare, Used Vehicle Program. Current Programs: Sales and Service Rewards, Custom Oil Change Program. All 5 Dealerships. Current Programs: Sales and Service Rewards, ToyotaCare, Pre-Paid Maintenance, Lease Capture. Current Programs: Sales and Service Rewards, Custom First Service Program. We take great pride in our clients and have more stories to share. Feel free to contact us and arrange time to speak with our clients. Our commitment will be evident and our passion for excellence relentless.